October is all about fun, don’t you think? September is all about back to school and getting down to business for Q4. But in October, we’re still more than a solid month out from the launch of the Serious Holiday Season. Thanksgiving, Hannukah, his work party, her work party, the family gatherings, Christmas, New’s Year Eve, New Year’s Day. *This post contains affiliate links meaning I may make a small commission if you click through and make a purchase. See Disclosure. So, October is a time to spend a Friday night or who are we kidding, the whole darn weekend snuggled on a sofa eating popcorn and being scared out of our wits! No horror for me, can’t do horror but I do like to be spooked. So here’s list I compiled for you of suspenseful movies that have more thrill and less gore. 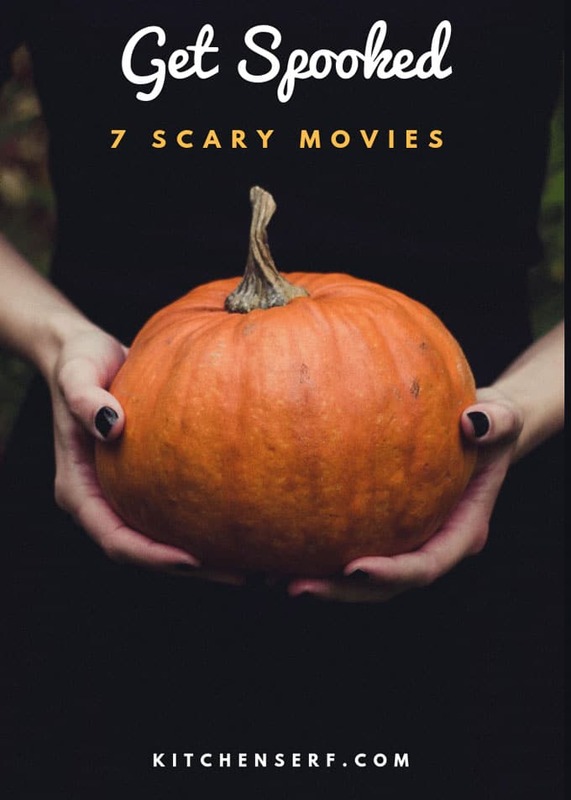 Fall is a great time of year to watch scary movies and I’ve rounded up a list of my seven favorites for you to watch. 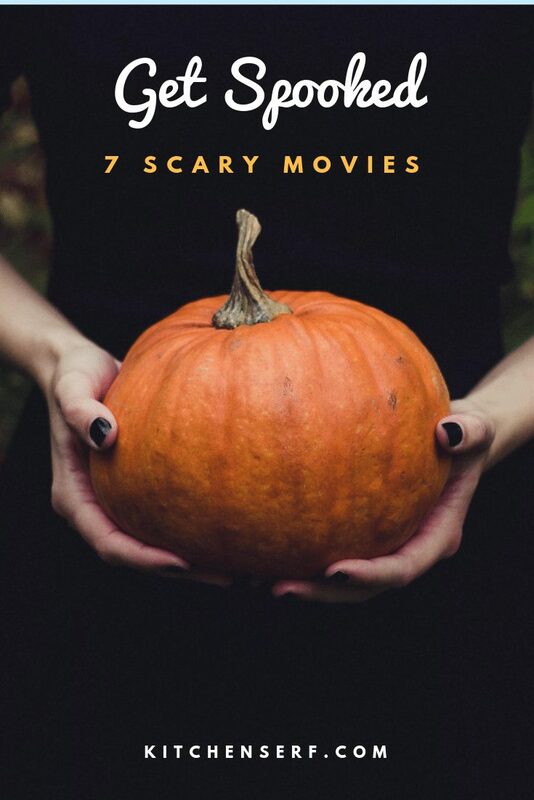 This list leans more towards spooky rather than gory. What Lies Beneath: beautiful couple Harrison Ford and Michelle Pfeiffer star as recently empty nesters who seem to have the perfect marriage. But, weird things start happening in their shoreside cape. Is the marriage all that it seems? Get Out: white girl brings black boyfriend home to meet her family. Or does she? I was resistant to watching this movie but my teenager insisted and I’m glad I did. It’s a good mystery that will leave you clawing at your sofa. But, there are spots of humor throughout. The Visit: A girl and her little brother go visit their grandparents from whom their mother has become estranged. You’ll start to think things are amiss nearly from the start of the film, I did. But it took me nearly the entire film to figure out what was actually happening. Despite my love for suspense, I’ll pick a comedy first any day. But, my former hairdresser insisted I watch The Visit and I’m glad I did. The Visit, directed by suspense master M. Night Shyamalan, is one of those films you think about days after you watched it. The Sixth Sense: Another M. Night Shyamalan movie, about a little boy who sees dead people, is nearly 20 years old, but it’s excellent. Another one that leaves you thinking. Also, because it’s an older film, the dvd is $4.99. The Omen: Satan’s child has arrived on earth. Need we say more? Stephen King’s It: an ancient shape-shifting evil emerges from a small Maine town’s sewer every 27 years to prey on children. It is my one recommendation that does include some gore. The film is terribly scary and a note of caution- touches on real life evils–such as vicious bullying and child molestation–in addition to theatrical evils. I often had one hand covered over my eyes when I watched it. Candlestick: A man throws a dinner party at which his friend accuses his wife of cheating. Chaos ensues. 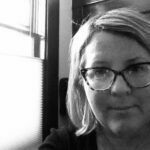 I’m a huge Hitchcock fan and Candlestick, created in the Hitchcock genre, was panned by critics for being underwhelming. Was it the greatest suspense film ever? No, but I enjoyed it and I think you will too. Your turn: what are your suspenseful or scary movie suggestions? If you enjoyed this post, follow my Halloween board on Pinterest! What a great list! I can’t do horror either, but I do enjoy some good suspense. Nice picks!